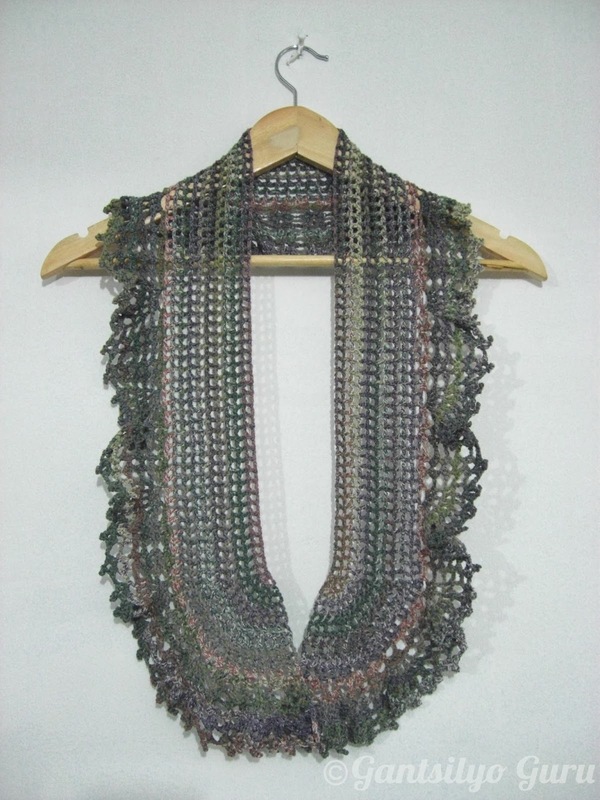 I've been getting my hands lately on shawls and scarves using Hamanaka's yarn. This is a scarf I crocheted using Hamanaka Claune yarn. This is also a Hamanaka design. 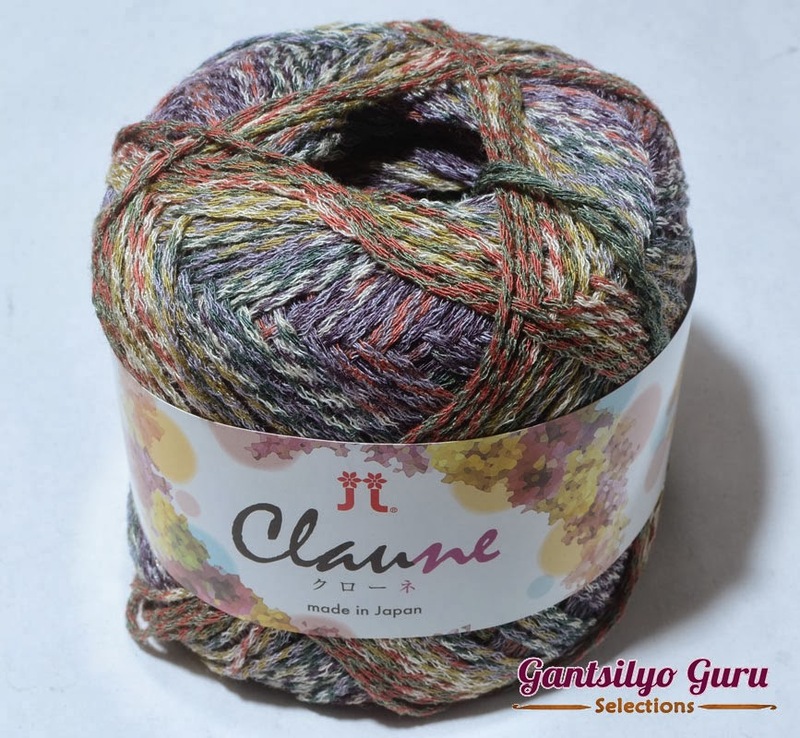 Hamanaka Claune is made of 45% acrylic, 32% Viscose, 14% Linen-Ramie, and 9% Nylon. 3 balls of this yarn was used to complete this project. I like the gradation of the yarn. If you look up close, there are actually two different colors intertwined for a certain section and these two colors eventually change into two completely different colors for the next section. There's a lot of changing in colors going on. You'd think the outcome would look uncoordinated, but the colors seem to blend well with each other. This makes this yarn unique. Even if you use the same yarn (new ball of course) with the same pattern, you will most likely get a different look because of the gradation. To prove my point, check out the same project using the same yarn color. The picture may have been edited by the publisher since it looks lighter, but you'll see the different effects of the yarn on my project and that of the image above. 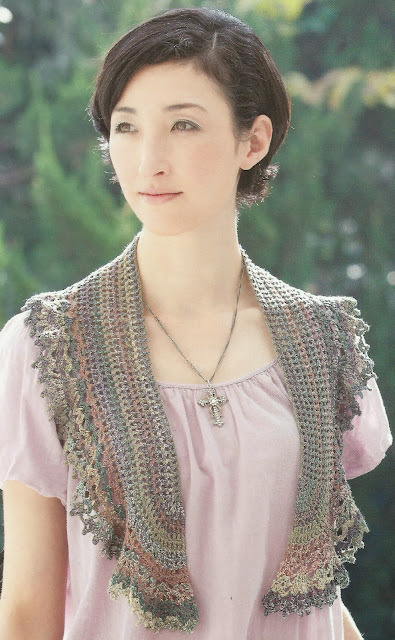 And I may also need to have a good-looking model to wear what I crocheted :p The wooden hanger isn't doing it any justice. I just call it a scarf, but I think of it more as a really cool accessory. It's actually a nice accent over a plain top. It's pretty unique because of how it drapes. 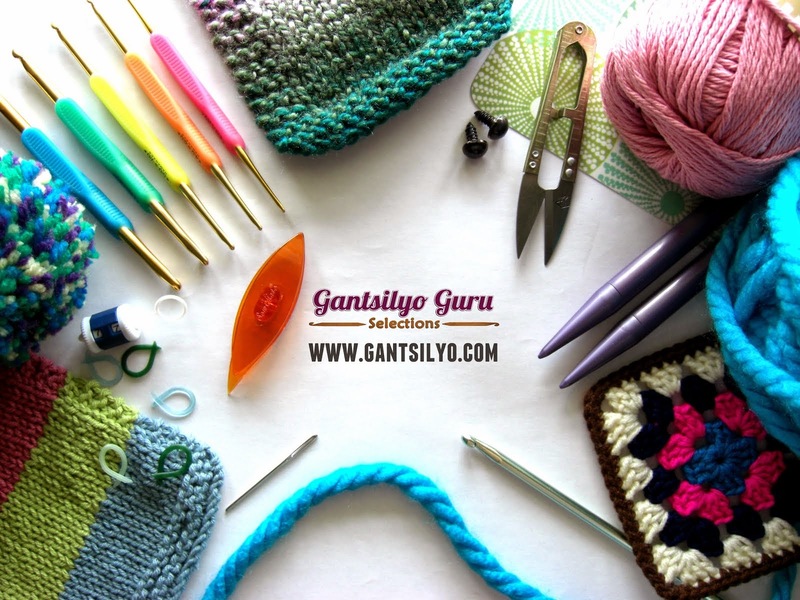 If you are interested to buy this scarf, send me an email at gantsilyoguru@gmail.com for details. This will also be available at my booth in Designer Blooms Cafe on Nov. 23. 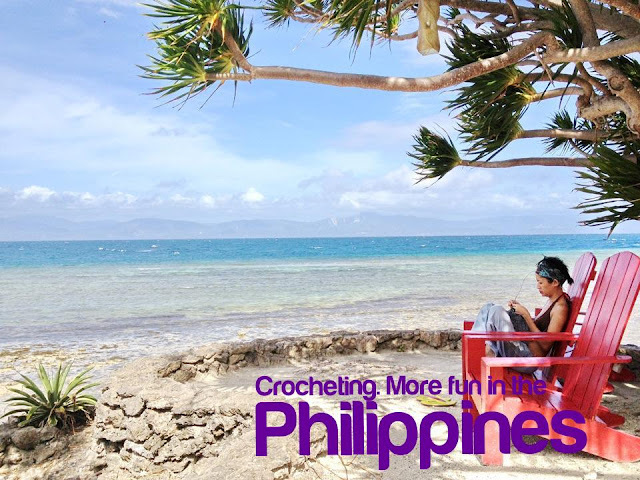 Are You Ready To Yarn Bomb, Manila!?!? !